This surely is a though journey. 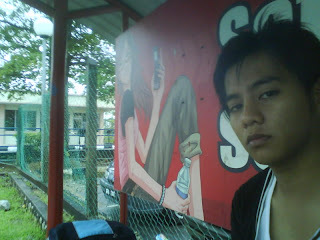 Upon arriving at a bus stop,i thnk it was at inti college taman melati, d driver n d ticket inspector shouted 'airport!' i thought it was my stop as d driver was looking at me while shouting. So i went down d bus just to know tat it wasnt my stop. I called kim 4 help. She guided me n told me 2 b calm. Few minutes later, a bus came. This time around i made sure it was d right 1. Had 2 pay 3.50, why is it more expensive than frm nilai 2 lcct? I dun undrstand. Do i learn my lesson? Obviously not.